Thanks to Papa, Tman got 200 ball pit balls for Christmas!! Mommy is trying to think of many fun ways to use them. First we set up the tent in the play room so the balls have a home until I find a small pool to keep them in. 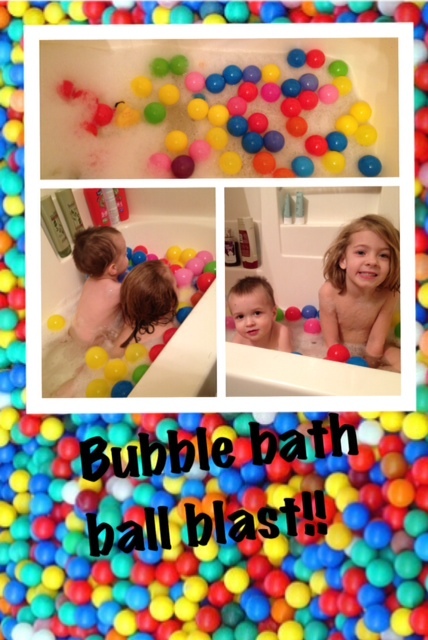 Since my little guy is not a huge fan of bath time I always try to make them fun and this trick worked!! :) He had fun helping throw the balls in the bath, playing in the bath so much he did not want to get out, and helping put the balls back. He absolutely loves balls!!! I do want to thank "Twins at Play" for this inspiration idea!